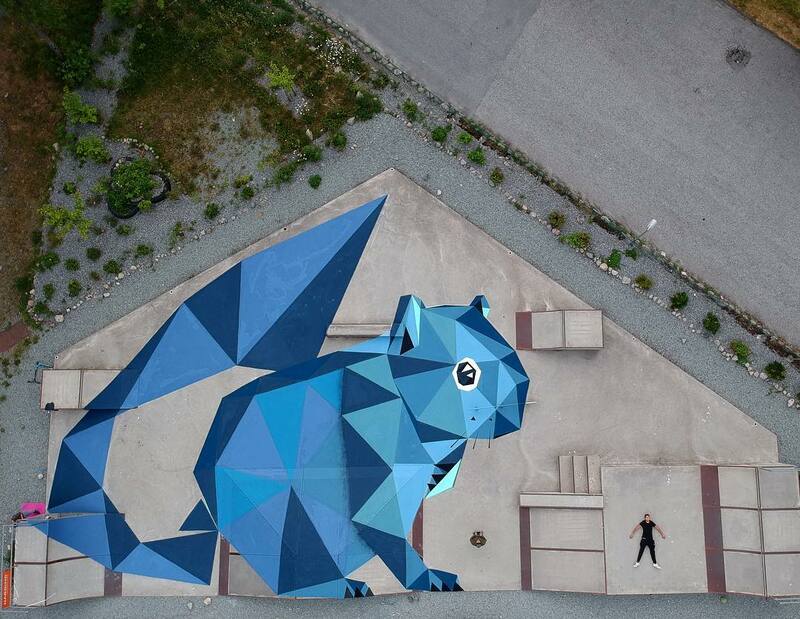 Rosendal, Norway: Rosendal Skatepark‘s floor by Riccardo Colombo for Hardangerfjord Street Art Festival. “Artwork dedicated to the squirrel in particular the “red squirrel” that will most likely disappear in the coming decades. The extinction of this animal is due to the introduction in Europe of other predatory squirrels imported from North America by humans.